Join together for a day of food and fun! This is an event not to be “passedover”! Bring your family, friends and your first born! 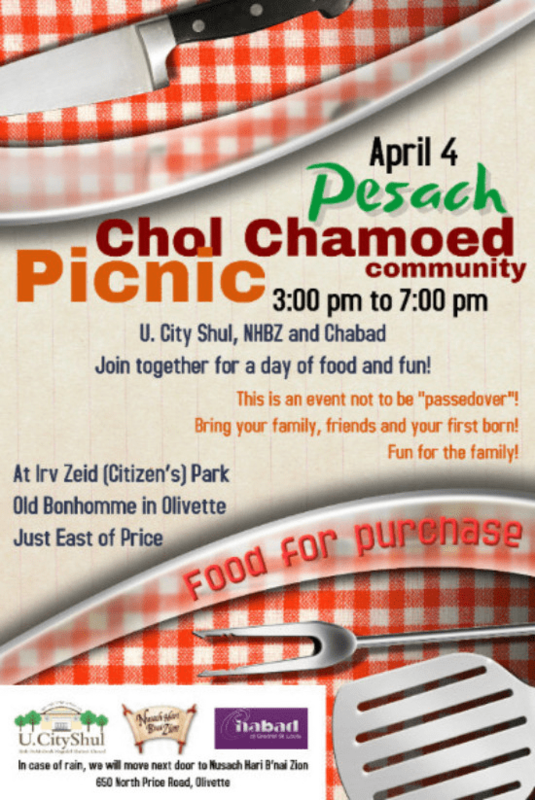 Chol Chamoed Community Picnic will be at indoors at Nusach Hari today 3-7pm!